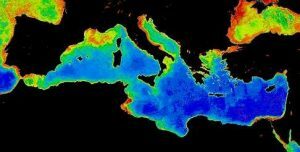 During the last three decades, the growing interest in the human occupation of islands has contributed to the development of a large number of surveys and excavations along the entire Mediterranean region and beyond. Island archaeology has developed exponentially as islands have grown to be considered excellent laboratories for the study of sociocultural transformations and the interaction between local and foreign cultures. The focus has been traditionally centered in prehistory and in the colonization of islands. The study of island systems, however, can be addressed to understand many different processes across historical periods and not only in prehistory. In fact, islands play a fundamental role in the understanding of the Mediterranean Sea in the transition from the Roman to the Medieval periods. The conference will explore the transformation of Mediterranean islands with a primary focus on settlement patterns and the transformation of landscapes and mindscapes. The idea is to explore how the models of occupation of the islands changed from the Roman to the Medieval Period focusing in change and resilience, in innovation and tradition, in the creation of new settlements and the reoccupation of prehistoric sites. Synthesis on particular large islands or archipelagos will be prioritized as oral presentations by invitation only. However, the open submission of papers is accepted from scholars at any academic level. These papers will be accepted as posters, but the organization cannot cover the cost of travel and lodging. Scholars that will not be able to physically attend are also welcome to send posters that will be displayed and discussed. All oral and poster papers are invited to present a text for publication. Although the major focus of this conference is on settlement patterns, landscape/environment and mindscape transformations, any contribution concerning other aspects of the archaeology of Mediterranean islands in Late Antiquity is also welcomed (see publication). The idea is to bring into light and to summarize the large quantity of research over the islands in the last decades and the recent advances in island archaeology in the Mediterranean for this fascinating period of deep transformation.